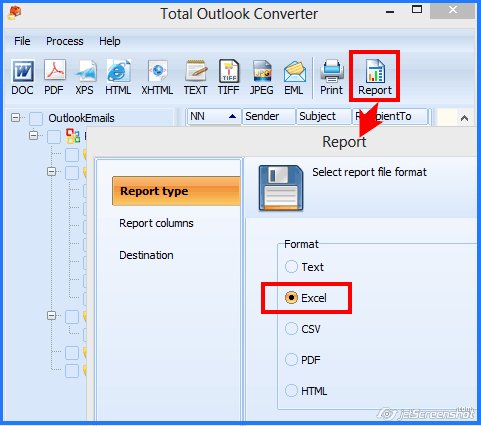 With the Total Outlook to XLS Convertor, generating Outlook reports and exporting the data into Excel is just a few clicks away! 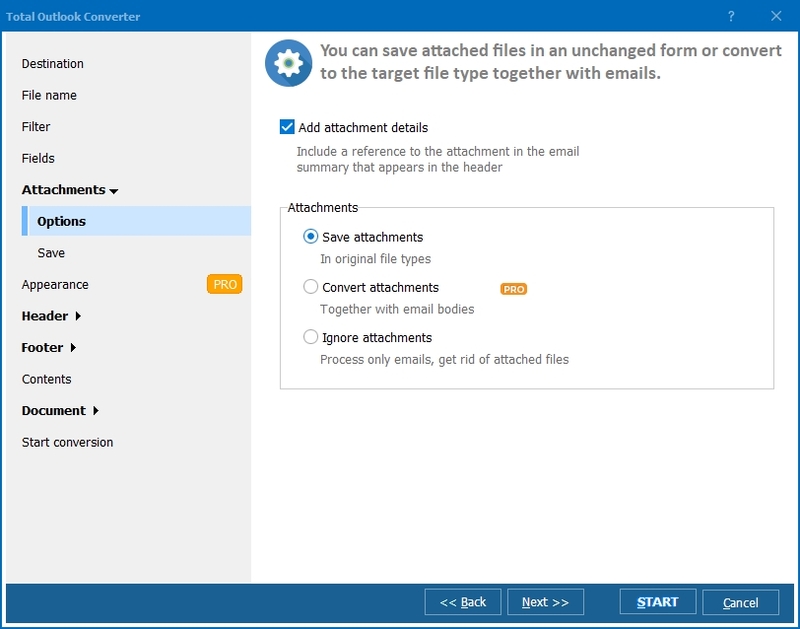 Whether you’re looking to create a simple spreadsheet that organizes how many emails you’ve received from a specific address or piece together a complex data visualization tracking how many emails you send on a specific day of the week, CoolUtils’ Total Outlook Converter helps you to accomplish your reporting goals. You’ll be able to target any of the existing client folders for batch processing into XLS format. We also realize that some jobs are smaller than others. For that reason, we’ve built in functionality that lets you pick and choose which individual email files you’d like to have populate your Excel report. 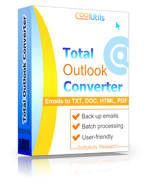 At its core, the Total Outlook Converter was designed with your professional needs in mind. We know that you’re looking to increase operational efficiency so we’ve designed a tool that quickly, accurately, and automatically handles the busy-work for you. Simply specify your project parameters, and let the Total Outlook to XLS Converter organize, archive, and build an Excel report for you! 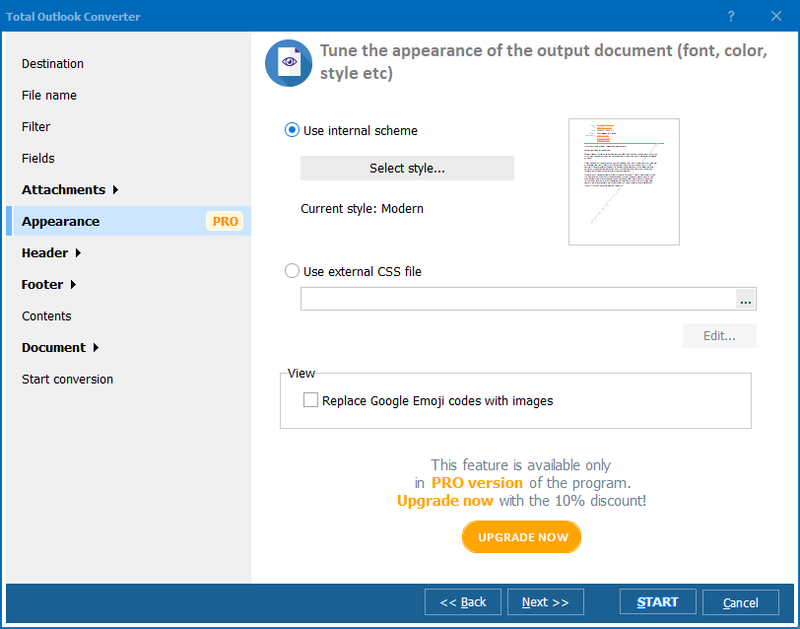 To discover more great conversion tools, and unlock the full potential of the Total Outlook Converter, check out some of the other formats that we offer conversion solutions for, including: DOC, PDF, HTML, TXT, and TIFF. Why wait? Experience the Total Outlook Converter today through our 30-day free trial. See what everyone is talking about, and see for yourself the difference over a decade of development makes when it comes to building powerful, intuitive, easy to use tools. 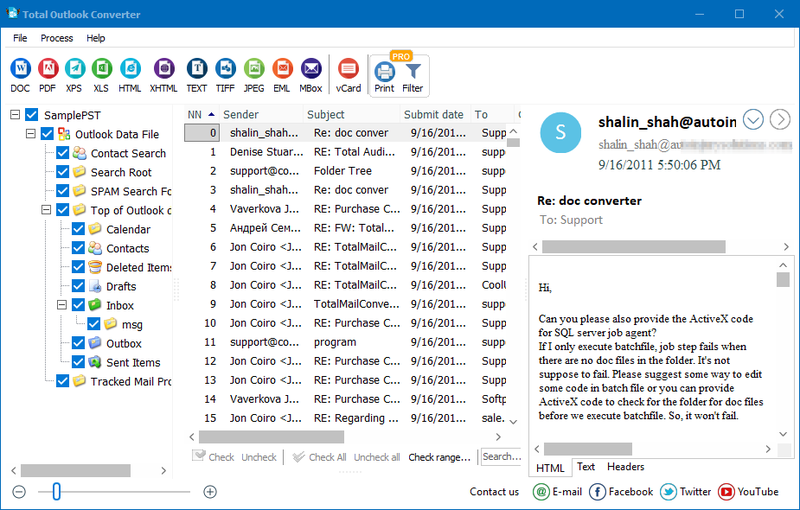 Convert OST to XLS with Coolutils.